Energizer professional series heavy duty jumper cables for all vehicle types including full size trucks, vans, and SUVs. This set is meant to be permanently installed onto a battery. Boost a car on the highway, in a garage, or even just in your driveway with no access to the front of the vehicle. The ENB130A booster cables allows you to conveniently and safely boost a battery from behind a vehicle! Red/black PVC-coated insulated clamps for easy identification. Tangle-free cables remains flexible even at -40°C. Heavy duty copper clad aluminum cables. 1 Gauge, 30 Ft, 800 AMP cables with Quick Connect. All weather use. 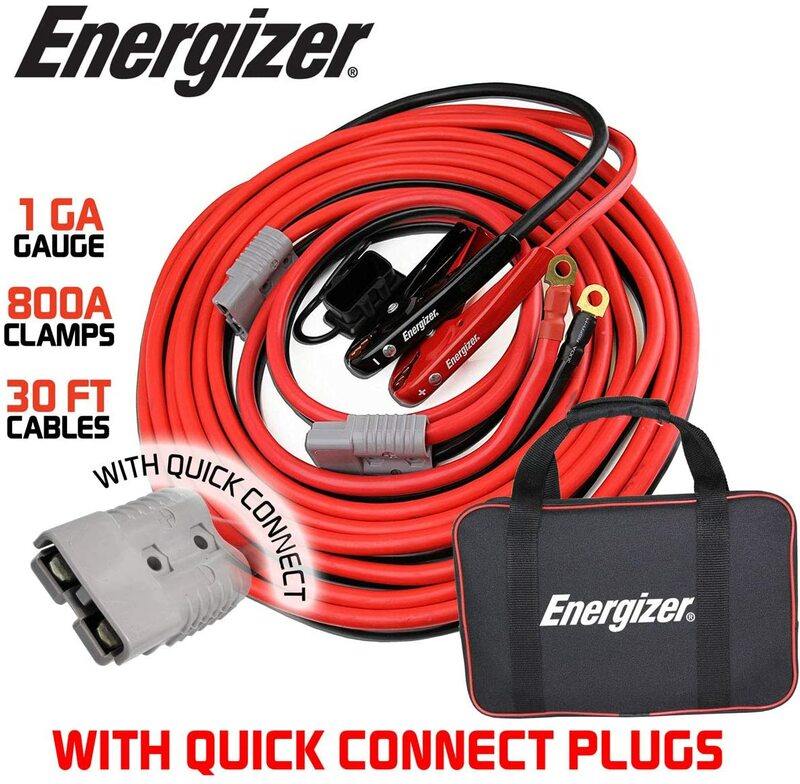 Energizer jumper cables for all vehicle types including full size trucks, vans, and SUVs. Red and black insulated clamps for easy identification. 4 Gauge, 16 Ft, 400 AMP. All weather use. The ENB-125 booster cables allows you to conveniently and safely boost a battery from behind a vehicle! 1 Gauge, 25 Ft, 800 AMP. All weather use.